Cayo Francisqui is a collection of mainly three coral reef islands located at the North side of Venezuela in the Caribbean sea. 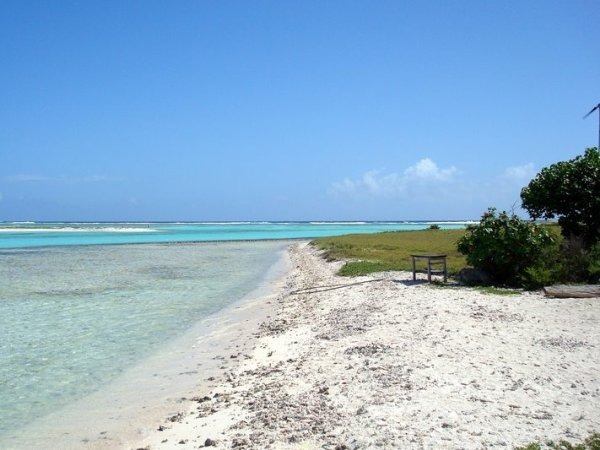 It belongs to the Los Roques national park. The islands are: Francisqui de Abajo, Francisqui de Arriba and Middle Francisqui. Cayo Francisqui is very close to Gran Roque – the main island of the area. One can reach to the Gran Roque from Venezuelan main Land by aero plane. From there, going to Cayo Francisqui islands by boat takes a very little time. Due to its convenient location and natural beauty, it has been a very popular tourist destination. This archipelago is mostly famous for its beautiful sandy beach and crystal clear blue water with golden sunshine. Cayo Francisqui has a very attractive beach. The white sand and blue water of this place is unique. The beach has a restaurant with fresh foods like lobster and drinks. The sunny atmosphere is perfect for lying down in the sun. Though, sometimes the weather can be too hot. Locals will supply you with umbrellas and chairs to sit by the ocean. There is also a calm natural lagoon in the beach. It is a great place for snorkeling. Other available beach side sports include diving and wind surfing.